For an inaugural vote, it wasn’t much of a contest. Tampa Bay closer Rafael Soriano and San Francisco closer Brian Wilson handily won the Baseball Blogger Alliance’s first-ever Goose Gossage Award, handed out to the best reliever in each league. Soriano and Wilson, besides leading their teams to the postseason, posted numbers that well-distanced themselves from their competition in the minds of the voters. Soriano, who captured fourteen first place votes in route to an overall total of 94 points, posted a 1.73 ERA and converted 45 saves in 48 chances. Soriano also had a 0.80 WHIP and struck out 57 in 62.1 innings pitched. He easily outdistanced Kansas City reliever Joakim Soria, who received 48 points. In the National League, Wilson accumulated seventeen first place votes and 104 points overall after his season in which he piled up 48 saves (in 53 chances) with a 1.81 ERA and a 1.18 WHIP. Wilson also struck out 93 in just 74.2 innings. He outpaced San Diego closer Heath Bell, who lagged behind with 52 points. While the BBA has named all of their post-season awards after greats of the game, Gossage gave his blessing to do so earlier in the year, inspiring the rest of the awards to be renamed as well. The Baseball Bloggers Alliance was formed in the fall of 2009 to encourage cooperation and collaboration between baseball bloggers of all major league teams as well as those that follow baseball more generally. As of this writing, the organization consists of 234 blogs spanning all 30 major league squads as well as general baseball writing. Ballots are posted on the respective blogs and tabulated on a 5-3-1 point scale for first, second and third. In the interest of transparency, links are given below for the ballots. Chapter affiliation is in parenthesis. Those chapters that decided on the group method are noted with an asterisk. The official website of the BBA is located at www.baseballbloggersalliance.com. 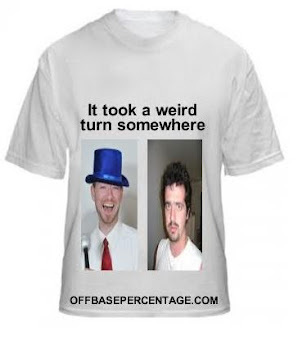 The BBA can be found on Twitter by the handle @baseballblogs and by the hashmark #bbba. Members of the BBA may be heard at Blog Talk Radio every Tuesday night with their call-in show, BBA Baseball Talk, which may also be downloaded as a podcast from iTunes. For more information, contact Daniel Shoptaw at founder@baseballbloggersalliance.com.